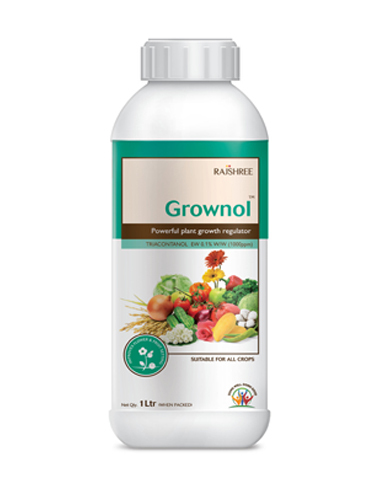 Grownol (n-Triacontanol) is a naturally derived plant growth regulator that enhances photosynthesis. It also increases rate of cell division resulting in production of large root and shoot mass. It enhances enzymatic activities in plants, triggers plant growth and yield. Increases chlorophyll content and rate of photosynthesis. Increases water permeability and mineral uptake from soil. Increases root mass, length and promotes early maturity. Reduces leaf drop, flower and fruit drop. Increases budding rate, tillering and branching. Available in 100 ml, 250 ml, 500 ml, 1 litre & 5 litre packs. 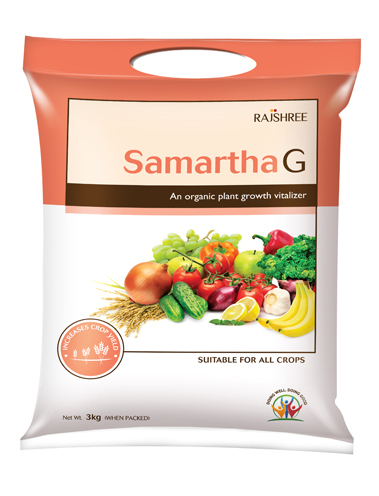 Samartha G (Granules) is a unique blend of organic ingredients that stimulates plant growth and increases crop yield. Slow and sustained release of essential nutrients. Improves quality of fruits and vegetables. Reduces flower drop in horticultural crops. Protects plants from stress and drought. Improves crop resistance to pests and diseases. Available in 500g, 3Kg, 6 Kg and 50Kg packs. 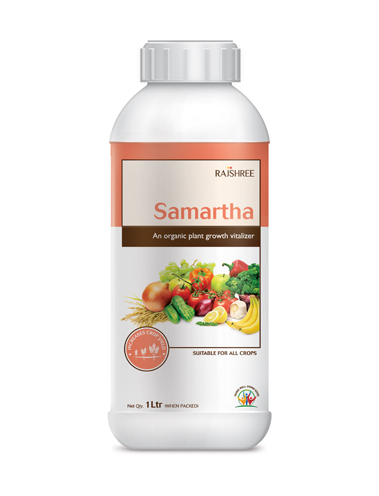 Samartha is a unique blend of organic ingredients that stimulates plant growth and increases crop yield. Available in 100 ml, 250 ml, 500 ml, 1 litre and 5 litre packs. 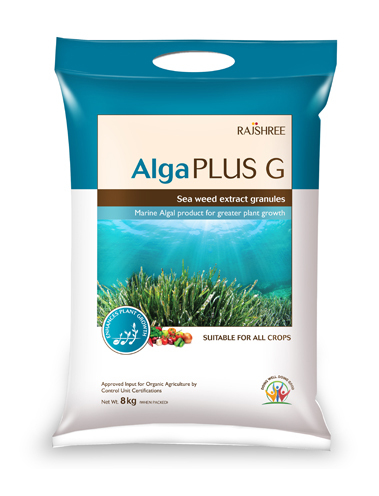 ALGAPLUS G is a granular form of natural extract of the sea plant Ascophyllam nodosum and contains minerals, amino acids, natural plant growth hormones, chelating agents and complex sugar. This product is suitable for all crops. Maintains balanced growth of the plant with higher production and yield. Promotes development of shoots and roots & stimulates cell division, thereby improving the fruit size. Enhances soil fertility level by releasing its nutrients gradually into the soil. Thickens, enlarges and balances the leaf leading to well- balanced supply of crop nutrients. Increases cell permeability by enhancing the absorption capacity of nutritive elements. Available in 8Kg and 10Kg packs.